There is a public parking lot directly across the street offering a pay and display service for over 300 vehicles. After 6pm parking is free along the street. Da Maurizio offers a premiere dining experience on Halifax's historical waterfront. For over twenty years this fine dining Italian restaurant has been considered the city's favorite by locals and travelers alike. It is no wonder Da Maurizio has earned National and International awards; one visit and you will understand why. The exquisite sauces and handmade pastas, the mouth-watering seafood and grilled-to-perfection meats, the exceptional service and beautiful decor, the comprehensive wine list and romantic setting all combine to make Da Maurizio and unforgettable experience. 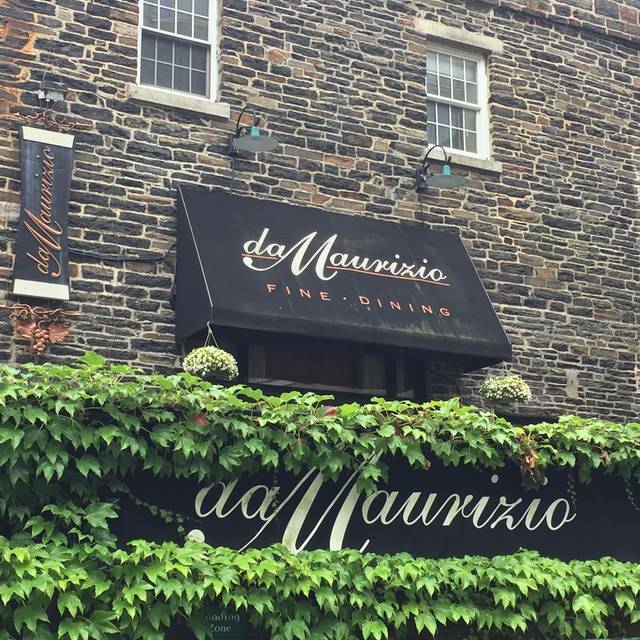 Whether you are seeking a romantic dinner for two, a celebratory family gathering, a lighthearted evening with good friends on the patio or a business discussion over dinner, Da Maurizio is the perfect destination. flash fried calamari finished w/ roasted tomato, sauteed garlic, crushed chilies, lemon & fresh italian parsley. grilled eggplant layered w/ prosciutto & bocconcini, baked w/ tomato, bechamel & fresh basil. roasted carrot and sweet potato soup, puréed and finished with coconut milk, garnished with yogurt crème fraîche, sweet paprika, chive oil and topped with a jumbo spiced shrimp. mussels, shrimp, scallop and white fish braised with garlic, saffron and tomato, finished with fresh herbs and pesto crostini. crisp romaine hearts drizzled with a garlic, lemon and caper dressing, topped with crispy pancetta, cracked black pepper, shaved parmigiano and caperberries. all pastas and risottos are prepared as appetizers. main course portions are also available. gluten free options available. penne sautéed with a ragu of slow braised beef, caramelized onions, red wine, roasted tomato and aromatics, tossed with fresh basil and grated reggianno. wholewheat linguine sautéed with olive oil, garlic, fresh chilies and tomato, tossed with grilled vegetables, finished with lemon, basil and goat cheese. 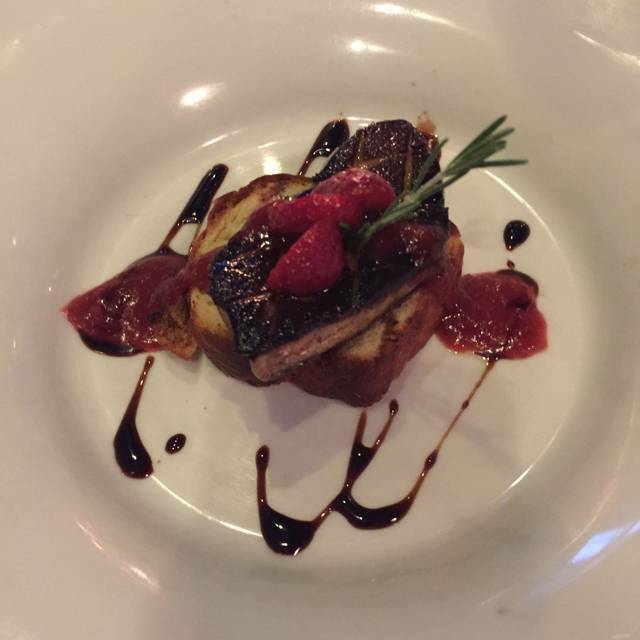 pork tenderloin wrapped with prosciutto and oven roasted, topped with seared fois gras and finished with a madeira and demiglace reduction. veal scaloppine sautéed with fresh lobster and finished with a garlic, tomato, brandy and cream sauce. oven roasted atlantic halibut, served on a purée of roasted garlic, tomato and fresh herbs, topped with fresh pesto. seared breast of brome lake duck and confit leg served with a sour cherry and fresh orange reduction, flambéed with grand marnier. 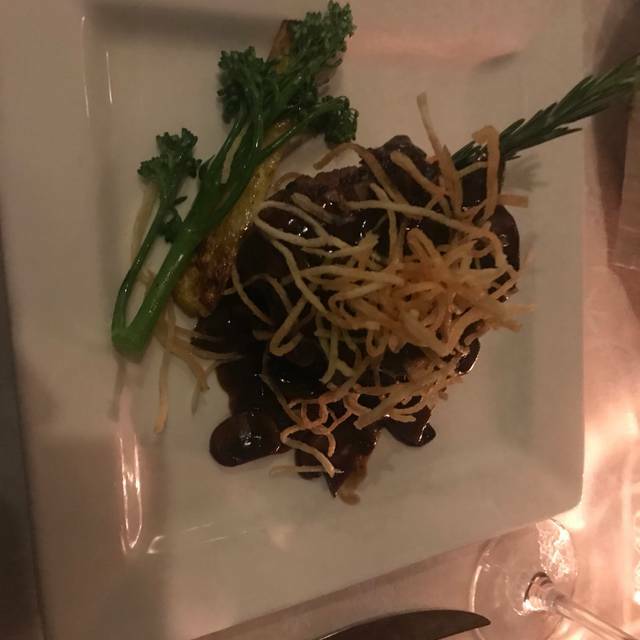 grilled aaa angus tenderloin topped with a sauté of wild wild mushrooms, port wine and demiglace, topped with truffled matchstick potatoes. spice crusted atlantic salmon, pan seared and finished with lemon and cucumber-basil crème fraîche. 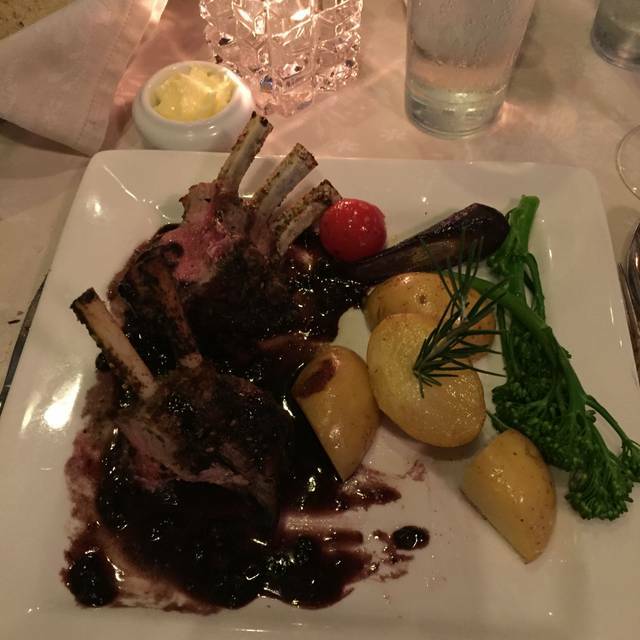 grilled rack of lamb marinated with garlic, olive oil and fresh rosemary, served with a demiglace and cabernet reduction. free range chicken breast marinated with lemon, and olive oil, oven roasted and finished with sautéed shrimp, garlic, white wine, cream and tomato. provimi veal chop marinated in fresh herbs, grilled medium, topped with gorgonzola and served with an aged balsamic reduction and crispy fried onions. mussels, halibut, scallops and shrimp sautéed with garlic, white wine, fresh herbs and roasted tomato, simmered with julienne vegetables and baby potatoes and topped with a baked half lobster tail. mascarpone mousse layered with savoiardi drenched in espresso and brandy, garnished with shaved chocolate. milk chocolate and peanut butter ice cream layered with brownie and drizzled with dolce di leche, chocolate ganache and topped with praline pecans and whipped whole cream. morello cherry crisp topped with peach gelato. individual flourless chocolate torte served with vanilla bean ice cream and garnished with white chocolate bark and raspberry coulis. classic meringue filled with lemon curd and fresh berries, garnished with fresh mint. salted caramel tart with chocolate crust caramel filling and chocolate ganache. strawberry and mascarpone cheesecake with chocolate hazelnut crust, topped with fresh strawberry glaze served with a port and balsamic reduction. We wondered if there was a different chef from our previous visits. I usually dream about the eggplant appetizer. This time it was very good,but not sublime. The pasta were on the "stodgy" side.... Not the usual sofisticated,shiny glaze. Dinner was delicious and the service was fantastic! 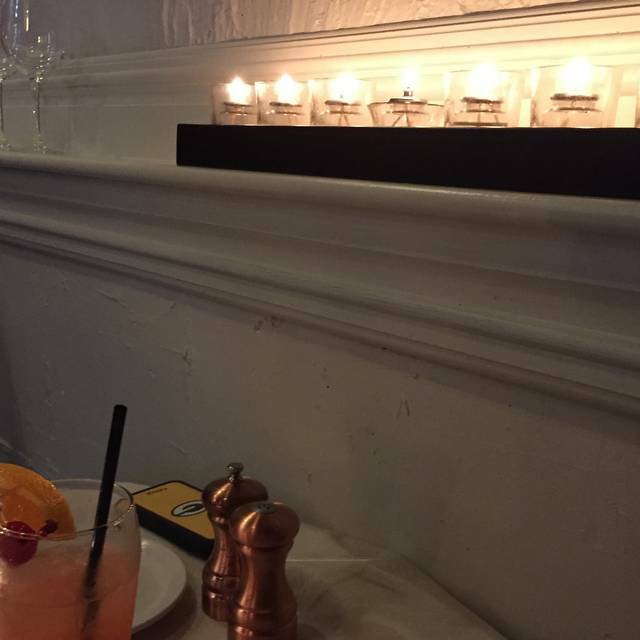 We go to da Maurizio's for special occasions and love the place for the ambiance and the food. This trip was with some family who were in town and it is their favorite restaurant in Halifax. They travel to many places around the world and as far as they are concerned this is one of the top restaurants anywhere. Very nice selection of wines, both red and white. We love the calamari and I love their Stufato which is full of seafood and very tasty. 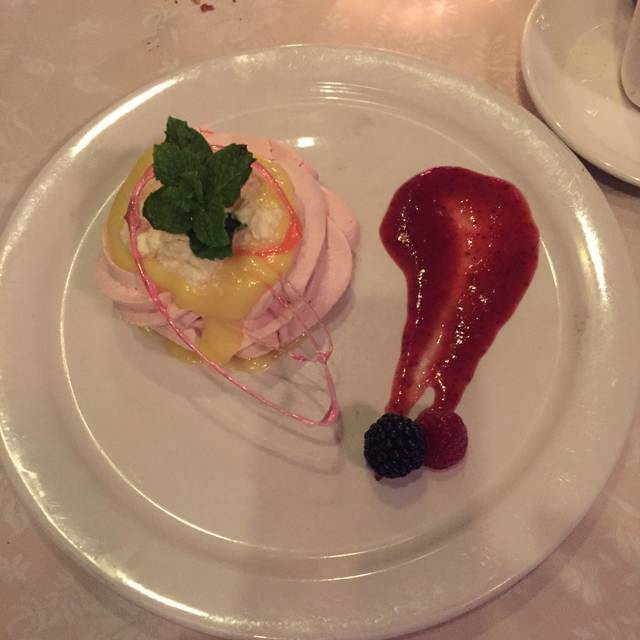 The portions are large enough that it's hard to have desert so we often order sorbetti to finish. Excellent food and staff. Love Tanya and how she makes people feel very welcome. We had a very enjoyable evening. Service was excellent. The chef made a substitution for my meal and it was delicious! Always enjoy our experience here. One of my favorite places to dine in Halifax. Good service. Table was quiet (under the stairs). Surprised with how busy it was at 6 p.m.! My husband and I enjoyed our night out. We have never been disappointed with our meal at your restaurant. We have named it our favourite. Well, this restaurant was out of control. Came for a special night with my husband and we felt totally pampered and cared for. Insane food and actually pretty good prices for fine dining. Great big portions as well which we were surprised and thrilled about, as we came hungry! Thinking about the meal again makes my mouth water. Will be going back. The sooner the better! Totally enjoyable evening.service perfect! Food,beyond perfect! Always excellent, best in Halifax. I had the mussels as appetizer as I do elsewhere. It seems for some reason the days of large mussels, (cultivated PEI?) are in the past? Very classy restaurant. I took my wife, daughter and 23 yr old grandson and we enjoyed everything very much. Food and service were excellent. Only negative which perhaps my fault was the wine order - not being a connoisseur I just wanted a red wine and asked a bottle of the Cabernet Sauvignon with the menu displaying the ones that can be ordered by the glass i.e., not the really expensive wine. What I received and paid for were two bottles at $65 each versus the $42 per bottle from the menu I held open to him. Anyway, my mistake I guess but I still felt cheated to the tune of $46 plus tax & tip. I wanted to bring to the servers attention but my family told me not to complain. Anyway, only negative part of an othewise great dining experience. I have learned a lesson. :) I will return. Great service, great food!!!! Not their fault but there was a really noisy party at the same time. Amazing service as always. Much busier this time then last but we didn't suffer for it. We had our usual wonderful dinner out at da Maurizio - we look forward to going there whenever we are in Halifax. We noticed the redecorating and it is very nice - a bit more modern but retained the cosy ambience. If we had any constructive criticism it would be that the lighting remained a little too bright and we missed the white tablecloths on the tables. Best fine dining in Halifax. Plain and simple. Da Maurizio never disappoints ! Reception was amicable and friendly, the service was attentive without being intrusive, the food was sublime ! And because we avoid crowded nights, the atmosphere was relaxed, the staff friendly, you can talk in a normal tone. Portions are a bit on the big side to enjoy all the categories, but the food is always impeccable, who can resist ! I come at least every year for my birthday. It is always an absolute treat. The food is phenomenal. The service is very attentive and accommodating. I love coming and will be back again before I know it. I love showing my loved ones this place and having them experience the amazing food because then they understand why I rant and rave about it. Great welcome. Service impeccable. As usual food excellent, gnocchi and tack of lamb. The whole evening was perfect. The service and the food were both exceptional. We pick da Maurizio's for special occasions and are never disappointed. Overall a great meal with excellent service. We’ll be back! We had a wonderful evening at Da Mauritizio. We arrived for our 7:30 reservation and were immediately greeted warmly by Carl and shown to our booth which was in a separate area and therefore perfect for conversation with our friends. Our waitress was terrific but unfortunately I do not remember her name. When we went to order wine, we learned that the last bottle of the wine we chose had just been sold but that did not deter our waitress, who arranged for our bottle to be brought over from Bishop’s Cellar across the street! Not only that, but we were offered glasses of Prosecco while we waited for our wine to arrive. She really went above and beyond. There were 4 of us so we sampled a variety of items from the menu and everything was delicious. The timing of the various dishes was perfect and we spent a lovely evening catching up with our friends while enjoying wonderful food in a relaxed and comfortable setting. We have nothing but praise for the staff at Da Mauritizio who made this a memorable birthday celebration. Consistently excellent. I always make a point of dining here when in Halifax (unfortunately, not often enough!). While a mainly traditional menu, they manage to do everything right, with enough imagination to keep things interesting after all these years - try the polenta poutine as a perfect example! Service is always spot on, and no one takes themselves too seriously. Yes, it’s fine dining, but it’s not church. Laughs and banter are welcome and indulged. Da Maurizio has been my favourite Halifax dining room for decades now. It still is! Always a wonderful fine dining experience. 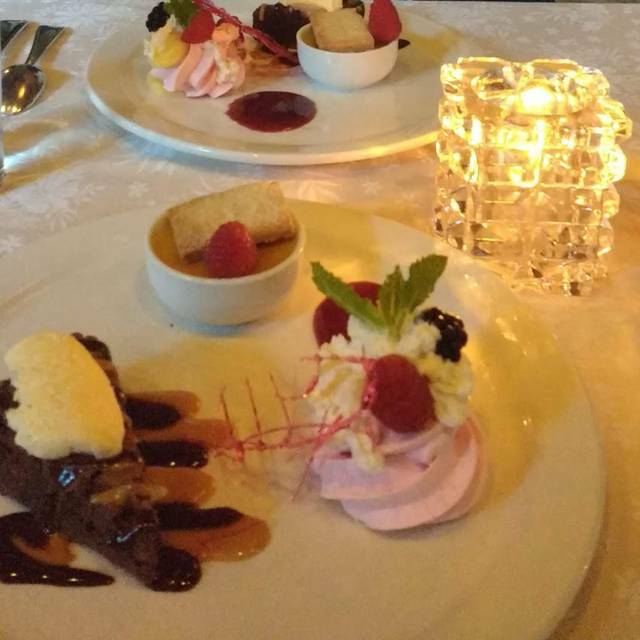 Fantastic service, excellent food and a quiet, elegant ambience. Our favourite restaurant and the best restaurant we have ever been to. 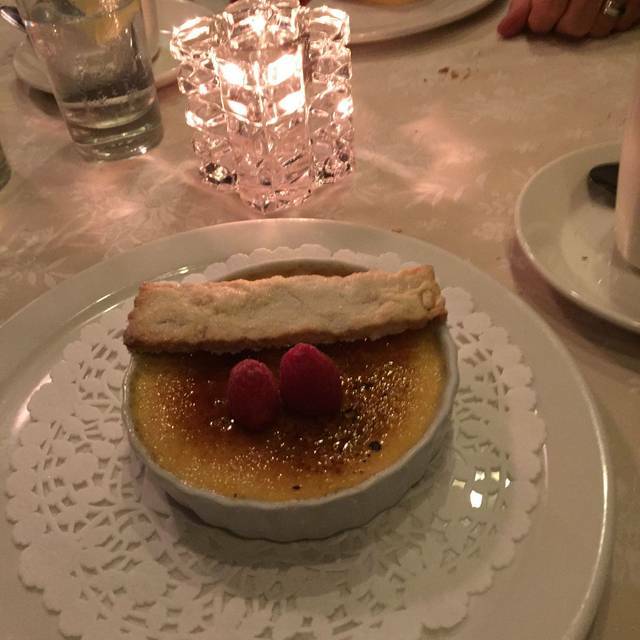 Consistently excellent food and excellent service! A must try! Wonderful service and fantastic food - our absolute favorite place to eat in Halifax! Service was fantastic. From the moment we arrived for a drink at the bar, til be finished. We felt welcomed and important. Thanks Steve! Lovely restaurant with great service and fantastic food. We are never disappointed when we go there. just a comment about the table placement. The table we were at was in front of the water closet door. There was a lot of foot traffic by our table because of that and a bit disruptive to our table. We will return. Great food and wait staff! 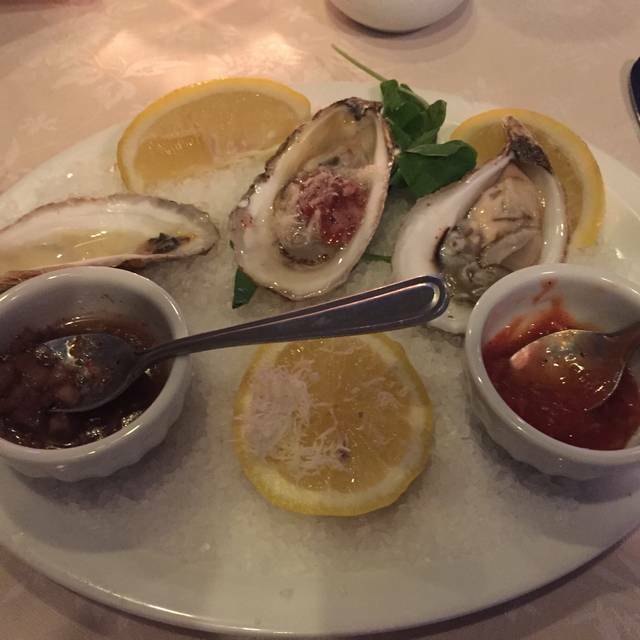 Although Da Maurizio is not particularly "Italian", it was very good, the service was extremely good, and we would certainly eat there again. We were visiting from Sweden, and our hosts suggested Da Maurizio as the nicest restaurant in Halifax. We also had a toddler, which is not always a good idea at a nice place. The staff were extremely accommodating and friendly, and we couldn't have been happier about the whole experience. Great food for the price. Very friendly staff, nice wine selection. Would recommend this restaurant, Enjoyed ourselves. This is our “go to” place for special evenings, and we have never been disappointed in all the years we have dined at da Maurizio. I only hope for the return of the escargot! We always enjoy our experience at da Maurizio, however this time it fell a bit short: pre-dinner cocktail - glass had lipstick still on it and we gave up waiting for our waitress to come by and had to track other wait staff down to replace it; we received appetizers before wine; beet salad seemed to be pre-platted (beet bleeding into the goat cheese and goat cheese was hard). The entrees were EXCELLENT and all mishaps before those were forgotten! The hostess that evening was absolutely lovely. Good thing we were paying attention, as the bill was presented with four bottles of wine instead of four glasses - our waitress fixed it though after we brought it to her attention. We will be back! Very welcoming, from the hostess taking our coats to every one we interacted with. Kelly, the server, was kind, personable and very fast. He made great recommendations and was very helpful. Would definitely go again. Everything thing was excellent except the lighting was awful. Amazing food, impeccable service, and the owner Tanya, along with her staff always make you feel special and well cared for. Our favorite restaurant in Halifax! The best way of describing the shortcomings is to say that when you spend $215 for two people (tax and tip included), it would be nice to get a water right away. We had to ask. Although it seems trite, it's an indication of attentive customer service. Much prefer Bicycle Thief.